Inspired by the spirit of highly graphic art nouveau style, the base of this beautiful bird bath is composed of three graceful cranes. Each bird stands gracefully atop its long legs, arching its neck as it bows its head. Thanks to the lovely curving lines of the birds necks and bodies, the three birds provide an inner harmony to the design and actually provide stability for the bird bath as well. The bowl of the bird bath is formed by a giant leaf that can be filled with water. A pair of little lovebirds sit at one end of the bird bath while a newly bathed bird prepares to take flight from the other side. 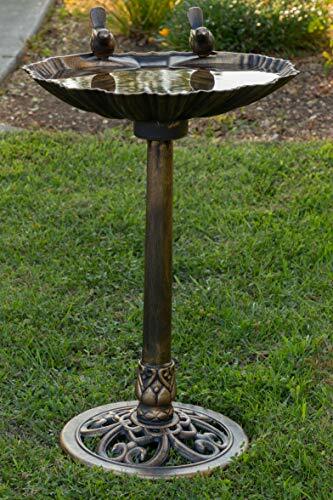 Made out of sturdy cast aluminum and durable steel, this art nouveau bird bath will provide beauty for years to come. 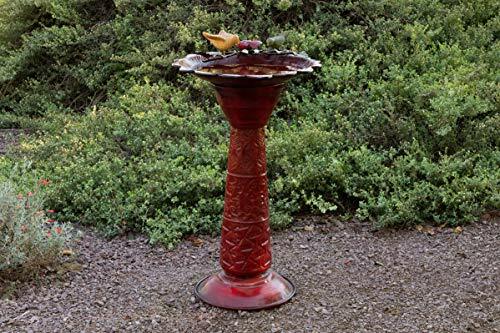 Beckon feathered friends to your yard with Alpine’s birdbaths. Fill a bath with fresh, shallow water and enjoy watching all the birds congregate from the comfort of your couch or while at the table having dinner with your family or working on art projects with the kids. 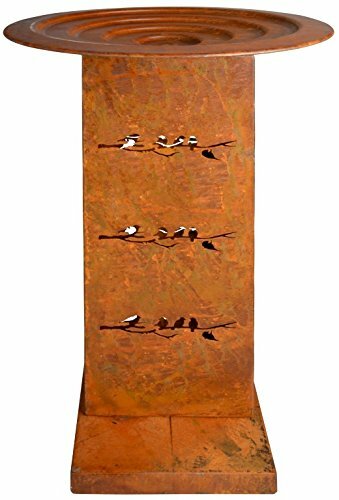 It is perfect for pairing with a bird feeder to coax a variety of birds outside your window during any season. With Alpine’s birdbaths, your yard will be the delight of humans and winged creatures alike! 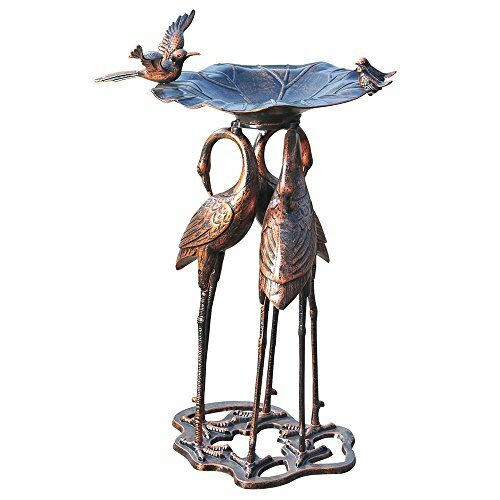 Styling rusted large metal bird bath, will keep your feathered friends cool on those hot summer days. Size: 16 inch x 16 inch x 27 inches.